The Materials Genome Initiative (MGI) is a multi-agency initiative designed to create a new era of policy, resources, and infrastructure that support U.S. institutions in the effort to discover, manufacture, and deploy advanced materials twice as fast, at a fraction of the cost. US-COMP research activities are directly integrated with MGI. 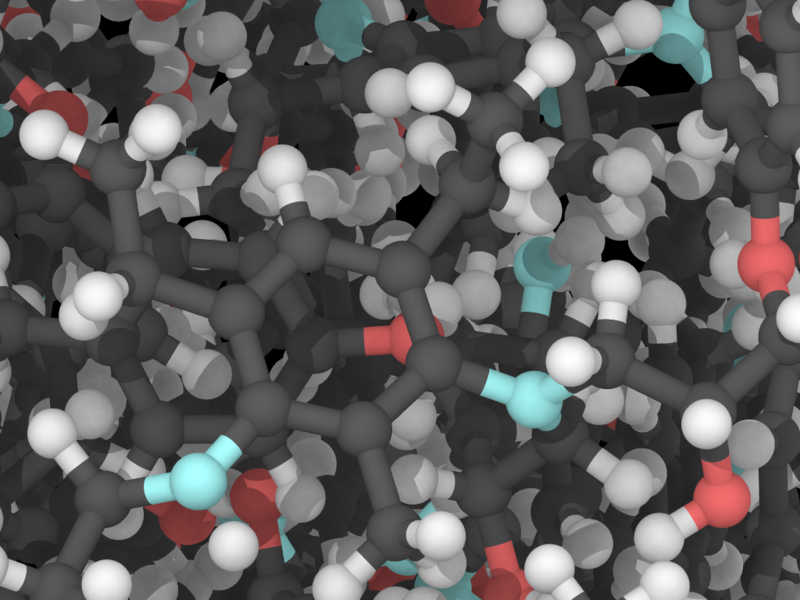 The development of new multiscale computational modeling tools, material characterization techniques, collaborative networking protocols, and a database of ultra-strong composite material properties contribute to the primary mission of MGI. Solvay is launching its FusePly composite bonding technology at SAMPE 2018 in Long Beach, California, US, on 22-23 May 2018. Solvay developed FusePly to enable the build of reliable, bonded composite parts using conventional manufacturing processes through the creation of covalently bonded structures, thus potentially removing the need for abundant rivets and fasteners. It addresses the manufacturing challenges faced by aircraft builders looking for improved performance, build rates and lightweighting. Design freedom: Adhesives offer much greater design flexibility during manufacture and assembly at lower cost. FusePly can easily be integrated into existing manufacturing processes as an upgrade for traditional surface preparation methods. Solvay will be introducing FusePly at SAMPE 2018 by exhibiting samples on its stand and presenting in the conference programme. With the go-ahead from NASA for a first mission to the International Space Station (ISS), the Sierra Nevada Corporation (SNC) Dream Chaser spacecraft team is now reviewing flight performance data and refining the vehicle’s design adaptations to meet mission requirements and changing payloads, using Collier Research's HyperSizer software. The HyperSizer tool provides insights into the strength, weight and manufacturability of designs for both composite and metal structures. Typically able to reduce the weight of existing designs by 20-40%, the software plays an important role in margin-of-safety certification for aerospace projects and is also valuable for wind, marine and other fields that demand performance with durability. Hexcel and Arkema executives have signed a strategic alliance to develop thermoplastic composite solutions for the aerospace sector combining the expertise of Hexcel in carbon fiber and that of Arkema in PEKK. The partnership aims to develop carbon fiber-reinforced thermoplastic tapes to produce lightweight parts for future generations of aircraft. 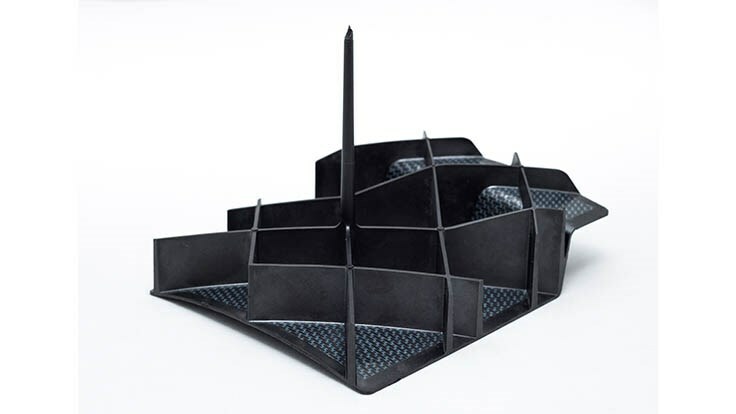 In addition to lightweighting, these new composites will offer lower cost and faster production speeds for customers in aerospace, space, and defense. A joint research and development laboratory in France will be established. Researchers at the Massachusetts Institute of Technology (MIT) have developed a process that can produce ultrafine fibers — whose diameter is measured in nanometers, or billionths of a meter — that are exceptionally strong and tough. 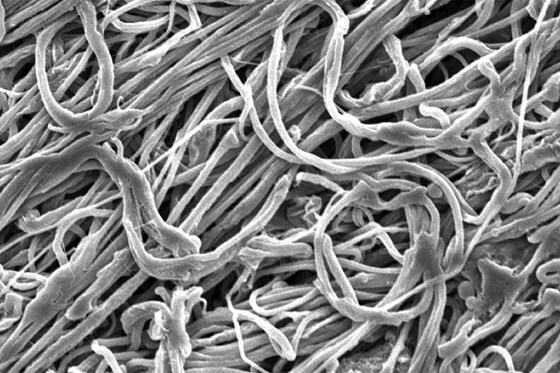 These fibers, which the researchers say should be inexpensive and easy to produce, reportedly could be choice materials for many applications, such as protective armor and nanocomposites. The process, called gel electrospinning, is described in a paper by MIT professor of chemical engineering Gregory Rutledge and postdoc Jay Park. The paper appears online and will be published in the February edition of the Journal of Materials Science. In materials science, Rutledge explains, “there are a lot of tradeoffs.” Typically researchers can enhance one characteristic of a material but will see a decline in a different characteristic. “Strength and toughness are a pair like that: Usually when you get high strength, you lose something in the toughness,” he says. “The material becomes more brittle and therefore doesn’t have the mechanism for absorbing energy, and it tends to break.” But in the fibers made by the new process, many of those tradeoffs are eliminated. “It’s a big deal when you get a material that has very high strength and high toughness,” Rutledge says. That’s the case with this process, which uses a variation of a traditional method called gel spinning but adds electrical forces. The results are ultrafine fibers of polyethylene that match or exceed the properties of some of the strongest fiber materials, such as Kevlar and Dyneema, which are used for applications including bullet-stopping body armor. The time taken for an average flight from Miami to Seattle is about six hours and 40 minutes, but imagine if it were possible to reduce that time to 50 minutes or less. A new study by Researchers at NASA and Binghamton University, State University of New York, could result in a substantial decrease in flight times. The study, funded partly by the U.S. Air Force, is one of the principal steps toward the development of planes capable of moving at hypersonic speeds, five to 10 times the speed of sound. There are presently quite a few problems when it comes to construction of these super planes, said Binghamton University Associate Professor of Mechanical Engineering Changhong Ke. The first of which is identifying a material that can handle hypersonic travel. Normally, carbon nanotubes have been employed in planes for their strength - they are stronger than steel - and their ability to conduct heat. However, BNNTs possess high potential when it comes to air travel. Solvay Composite Materials (Alpharetta, Ga.) has acquired European Carbon Fiber GmbH (ECF), a German producer of high-quality precursor for large-tow (50K) polyacrylonitrile (PAN) carbon fibers. With this acquisition, Solvay is building the foundations to lead the adoption of composites in automotive applications, to serve select industrial markets, and to support the potential adoption of large-tow fibers in aerospace. “The strategic acquisition of ECF enables Solvay to develop a portfolio of large-tow carbon fibers to complement our existing range of pitch and PAN aerospace grade carbon fibers. This comprehensive portfolio will place Solvay as a key supplier to the aerospace, automotive and industrial markets going forward. Thanks to this acquisition Solvay will leverage its polymers and materials science competencies to drive breakthrough innovation in large-tow carbon fibers,” stated Carmelo Lo Faro, president of Solvay’s Composite Materials Global Business Unit (GBU). Vertical integration into large-tow carbon fiber technology will position Solvay to ensure cost effective long-term security of supply to its customers. Boeing has given a $600,000 grant to the University of Texas at Arlington to test composite components that officials believe will pave the way towards longer-lasting aircraft as well as help identify when those components might fail. Andrew Makeev, UTA Professor of Mechanical and Aerospace Engineering and Director of the Advanced Materials and Structures Lab, will lead the project. Endel Iarve, a Professor of Mechanical and Aerospace Engineering who works in the UTA Research Institute’s Institute for Predictive Performance Methodologies, is the Co-principal Investigator. The study, funded partly by the U.S. Air Force, is one of the principal steps toward the development of planes capable of moving at hypersonic speeds, five to 10 times the speed of sound. The ThermoPlastic composites Research Center (TPRC), Enschede, The Netherlands, has a new Tier 1 member: Victrex, which recently introduced the Victrex AE250 composite family based on polyaryletherketone (PAEK) polymer. Planned joint activities will concentrate on the acceleration and proliferation of new technologies with the aim of addressing industry needs regarding costs, speed of manufacturing, and assembly of aircraft components. TPRC has an extensive thermoplastic (TP) processing knowledge, Victrex has in-depth expertise in PAEK materials and applications in combination with a new hybrid molding technology. As a Tier 1 member, Victrex will work alongside other Tier 1 and Tier 2 members, such as Boeing, Daher, Dedienne Aerospace, TenCate, and Vaupell | SB aero. The "Aerospace Materials Market by Type, Aircraft Type and Region - Global Forecast to 2022" report has been added to Research and Markets' offering. The global aerospace materials market is projected to reach USD 25.80 Billion by 2022, at a CAGR of 6.9% from 2017 to 2022. Increased passenger transportation is projected to enhance the aircraft production industry, which will further drive the demand for aerospace materials. North America dominated the aerospace materials market in 2016 and is expected to continue its dominance during the forecast period. The U.S. is the major consumer of aerospace materials and the demand for aerospace materials is expected to increase during the forecast period in North America. The high demand for aerospace materials is primarily due to the presence of top aircraft manufacturers such as Boeing, Lockheed Martin, and others in the region. The primary technical role that Michigan Tech will play is in the development and use of advanced computer modeling methods to facilitate the development of these materials to enhance the Materials Genome Initiative, while also aligning with the STRI from NASA. The materials can be designed and simulated in a computational environment relatively quickly, which will save time and money in the overall material development process. Our high-performance computer cluster SUPERIOR will play a major role. A presentation on the progress of the Materials Genome Initiative. The Materials Genome Initiative, launched in 2011, was started to bring together the best minds in materials research to help businesses discover, develop, and deploy new materials at a faster rate than traditional industry timelines. This video shows the progress made in the first three years of the initiative. 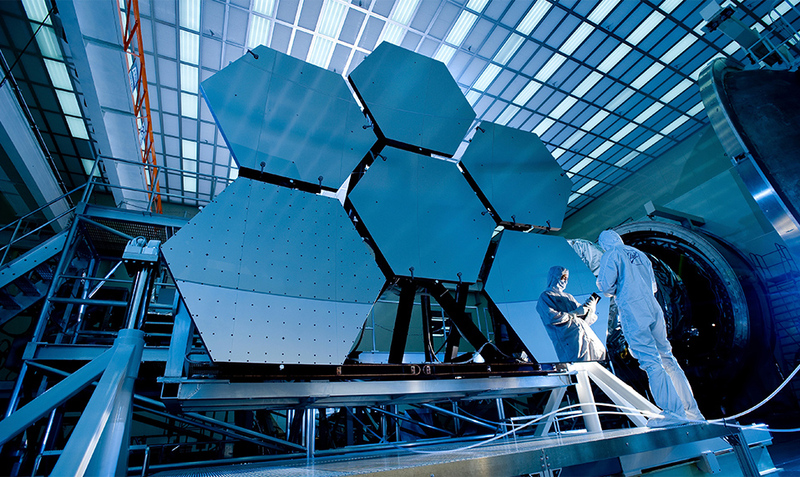 The Materials Genome Initiative was established as a collaboration to advance materials into innovative products such as light-weight cars, more efficient solar cells, tougher body armor, and future spacecraft much faster and at a fraction of the cost than it has taken in the past.